Thermal immersion circulators, digital water baths and cook chill tanks are the only reliable way to transfer exact temperatures to sealed food packages in an even consistent manner. 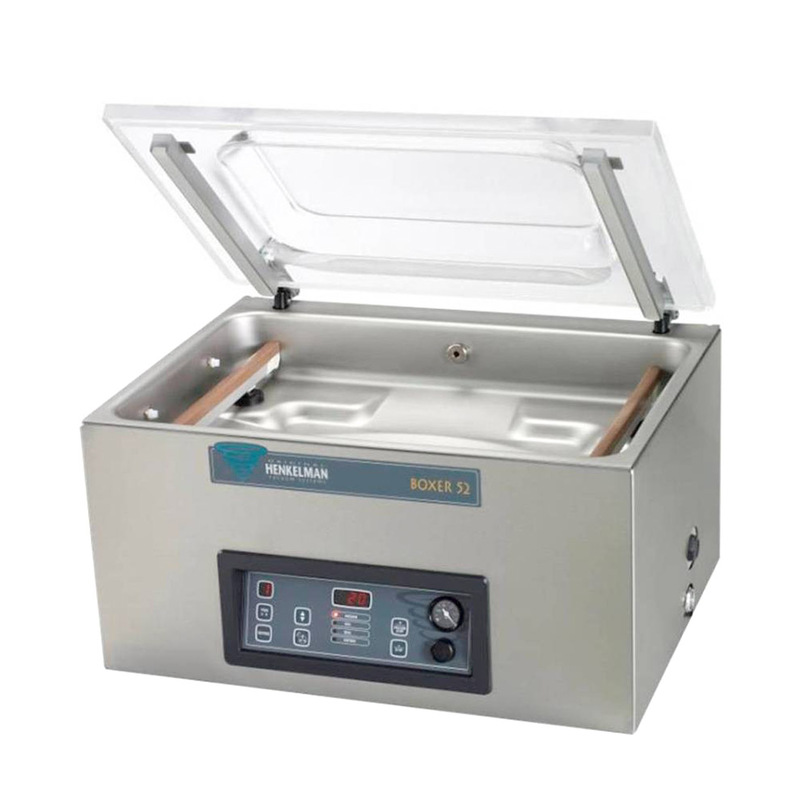 Although combination steam ovens are often considered for sous vide due to their castored trolley loading systems there can be large variations in heat transfer. Sheard and Rodger (1995) found that none of the convection steam ovens they tested heated sous vide pouches uniformly when fully loaded. Indeed, it took the slowest heating (standardized) pouch 70%–200% longer than the fastest heating pouch to go from 68°F to 167°F (20°C to 75°C) when set to an operating temperature of 176°F (80°C). They believe this variation is a result of the relatively poor distribution of steam at temperatures below 212°F (100°C) and the ovens dependence on condensing steam as the heat transfer medium. The thermal conductivity of water is 23 times greater than that of air which makes it far more stable for achieving accurate temperature transfer. Immersion circulators also use PID technology to achieve accuracy without over shot of temperature in reheat. Vacuum packaging of the item to be cooked is the crux of sous vide. Not only is the item sealed in a completely non-stick environment, oxidisation is removed from the equation. 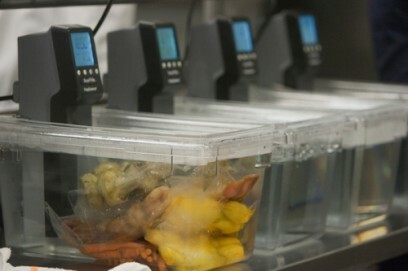 The vacuum seal also enhances the ability of the cooking medium to have 100% direct contact with the food to be cooked. Flavour potential of all additives is enhanced by vacuum extraction which means less marinade and lower or no oil, fat or sodium additions. In larger scale productions separate chill tanks may be used for better work flow.